AS Roma and Empoli will fight for a place in the Quarter Finals of Coppa Italia. The game will take place today from 20:00, UK Time, and the hosts are in pole-position to win the game, both on the sheet and at bookmakers. The home side is coming after two dissapointing results, getting only two points in the last two league games so they are five points behind Juventus in Serie A now, being very hard to believe that Roma still has a real chance in the title race. 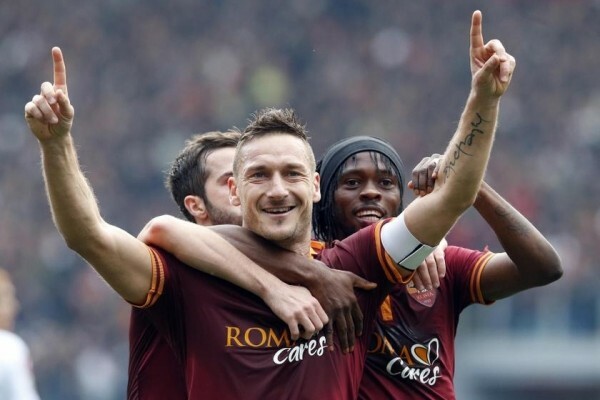 Surprinsigly or not, Totti & co are without victory in the past four home games, their last win at Olimpico being on November 30th, 4-2 against Inter Milano. Empoli are also coming after a bad run of games, proof that they are without victory in the last six competitive games, ticking five draws and one defeat. Empoli managed to win only one game in their nine away matches this season. There is no doubt about the fact that the guests are outsiders. For example, Bet365 offers odds around 7.50 for their victory today. We chose a simple bet, without risking too much with Assian Handicap. We recommend you to bet on Roma’s victory, the odds offered by Bet365 being acceptable right now, 1.44 to be more precise.